Topics: 本页, Accommodation, 旅馆设施, Studio Unit, and Deluxe Studio Unit. ns2.freeparking.co.nz, and ns.freeparking.co.nz are its DNS Nameservers. 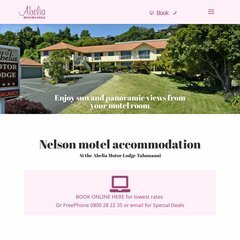 Abeliamotorlodge.co.nz's IP address is 203.86.194.6. Tasman Solutions Ltd Nelson is the location of the UserLand server. PING www. (203.86.194.6) 56(84) bytes of data. A ping to the server is timed at 184 ms.